Job Opening – Sugino Laboratory, ISSP, Univ. Tokyo. The position has already been filled. Thank you. Post-K Computer Project, Priority Subject 5, “Technology for Creation, Conversion, and Storage of Energy” 2015-2020. Successful candidate will study the electrochemical interface using the K-computer. Microscopic aspect of the electric double layer and the electrochemical reactions is the target of study. For the computer simulation, original code has been developed based on the density functional theory and a statistical liquid theory. The research is done in collaboration with Osamu Sugino (University of Tokyo), Minoru Otani (AIST), and Yoshitada Morikawa (Osaka University). Workplace is the Institute for Solid State Physics, the University of Tokyo. Period of employment: The initial appointment will be for one year, but can be renewed subject to performance. Can be extended to the end of the project (31th March, 2020). 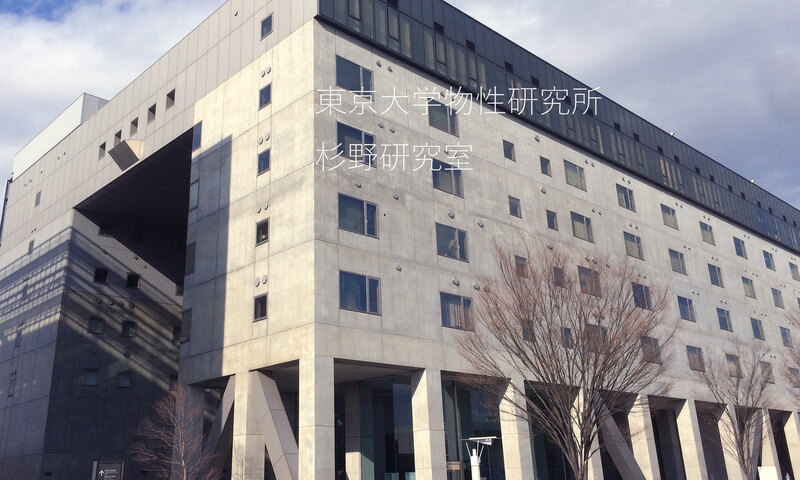 Salary and working form: Approximately 4,800,000 yen/year (decided on the basis of the applicant’s abilities, research experiences and the regulations of the University of Tokyo.) under the discretionary labor system: Five days and 38 hours and 45 minutes per week. The deadline for applications: January 31th, 2017, but the search for candidates will continue until the position is filled. Starting date: No later than April, 2017.